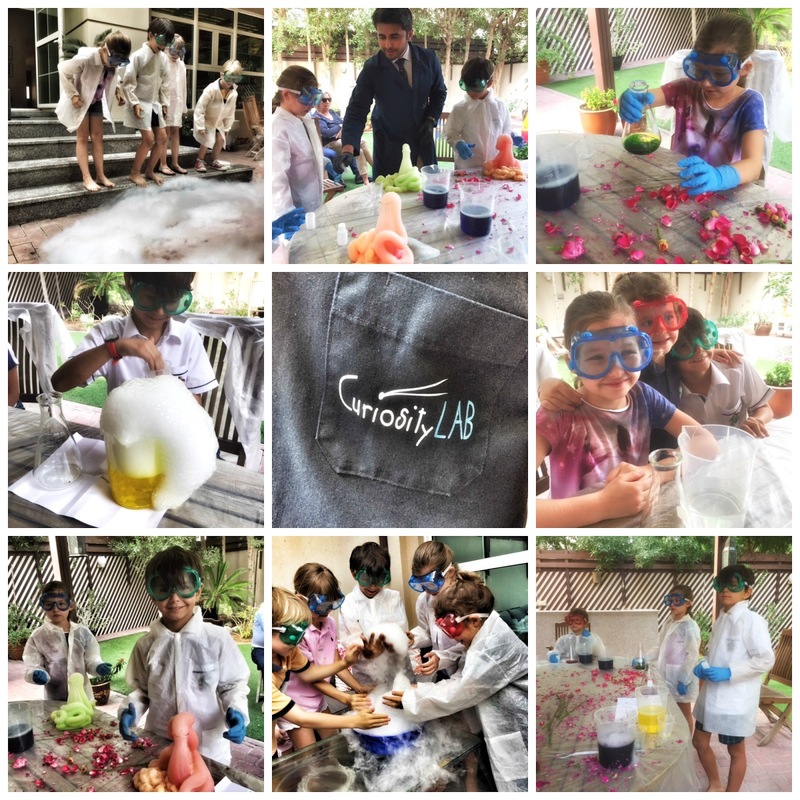 Dubai our Sandbox: Curiosity Lab, fun and educational program for kids - We ♥ it! Curiosity Lab, fun and educational program for kids - We ♥ it! This is definitely one of the most successful play date we had! Let me tell you about Curiosity Lab, a child enrichment program where children are treated as the scientists of tomorrow. They experiment. They interact. They explore. Kids loved it and as parents you will appreciate the fun educational angle to it. The Children get to experiment, interact and experience science and that's the best way to learn. Moheb Nabeel (or just Mo) is the Founder and Chief Curiosity Officer of Curiosity Lab. He is responsible for all the teaching, research, development and inventions. Fantastic with children, engaging them and stirring their curiosity, Mo has manage to create a very cool learning concept. Children witness ingenious demonstrations of all scientific concepts. Learning is hands on; experiments are actually performed and not just read about. The results and their implications are worked out and not told. Learning while making fun memories. Curiosity Lab offers Modules, a structured program of 12 classes (12 weeks). Each Module teaches an exciting idea, which is explored through twelve important scientific concepts for example : To The Moon...And Back! and The Electromagnetic Kid. Classes are conducted at your home for small groups of four to six children. All material provided. AED 1500. Also available for special play date and birthday party, sure way to get little scientists in the making very excited! Mo will inspire future doctors, engineers, inventors and scientists, by making them fall in love with science. Just like he did. We highly recommend Curiosity Lab for the friendly and professional approach of Moheb. The play date was a fun learning experiment, a great sample of mini science experiments to get the little ones excited and curious about the wonder of the scientific wold. Entertaining as it is educational. Perfect for children from 5 years and up.